application of the Low Level Format to modern hard drives and SSDs. We also have developed Lowvel - a free tool to erase data irreversibly from various storage devices. Lowvel will be useful for those who, for example, want to sell their used storage device. The fact is that a typical file deletion does not actually erase the data, and data recovery software can easily extract your files. Therefore, if you do not want the new owner to see, say, your personal photos do the low level format of the device before selling. Lowvel overwrites data with zeroes, i.e. performs so called zero-filling of a storage device. It should be noted that after such zeroing, neither a data recovery software nor a data recovery service can recover data off the device. 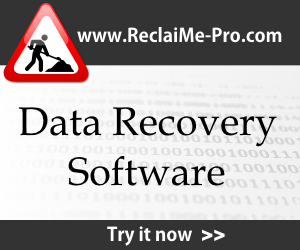 WARNING: you cannot recover data after using Lowvel. Zero-filling truly and irreversibly deletes all the data on the media. No software or hardware exist to recover what was overwritten by zeros. Some of the large SSDs are an exception to this rule, where small bits can sometimes be recovered, but still there is no software to recover data from them and hardware recoveries are extremely difficult. This site also provides references to the hard drive vendor-provided software you may need to diagnose whatever media you happen to have. Most of these software were designed to confirm RMA status for a drive.